Our References – Paul Brothers Inc.
We believe our customers speak loudest and best when it comes to the job that we do. We have a large list of projects and an equally long list of references. We have provided some of our most recent letters of recommendation for download as a pdf from this page. 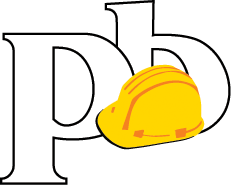 Specializing in public works contracts, Paul Brothers, Inc. was founded as a General Contractor and has been proudly serving the Pacific Northwest for over 50 years.